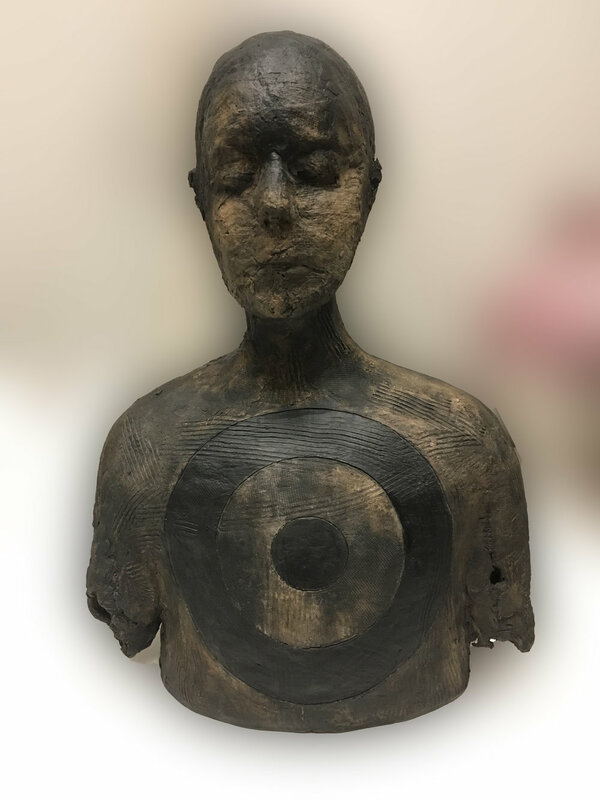 Eden’s current body of ceramic sculptures focus on the human spirit and the potential to overcome adversity. She uses bridges, walls, seesaws, ladders, and pillars to symbolize life’s hurdles that lead to transformation. It is where we end up along the road, echoing the true path of life, which excites Eden as an artist. Her surfaces reveal the figures’ life lived. Like our skin, the shell of the body illustrates the stress of time through cracks, lines, folds, layers, rough edges, and scratching. 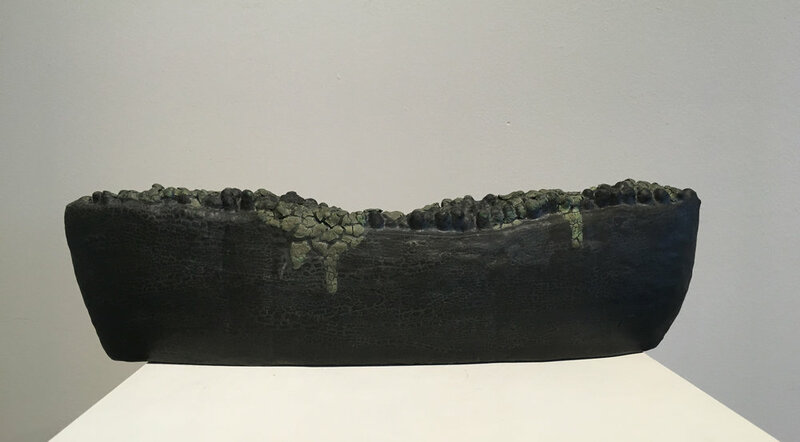 The combined use of paper clay, metal, paints, glazes, inks, flocking, wood and found objects intentionally draw the viewer to not only observe but also explore through touch. Her work is often described as dark, ironic, evocative and strangely humorous. Please notify me when new work comes in by Eden Bender.